"Smapping is the process of taking a digital photograph of a map that you won’t have access to later, except if you take a snap of it." This is brilliant. I've done something similar by snapping signs and information boards when I didn't want to copy down a lot of facts. Just photo it, and it's yours for posterity. It's like having a researcher/assistant on board taking notes. But I didn't really think about it for local maps. That is, to have one on your camera, instantly. Using a photo of a map in real time may not be as nice as having an actual map of a place. But if you don't have one, I could see where a photo could come in very handy. As Sowden points out, it may seem small, but you can zoom in for details. I like taking photos of local historical or informational signs because they're often more detailed than explanations in guidebooks. Or contain facts that you might not see anywhere else. Another reason I snap is to place the scenery that I'm photographing once I get home. Sometimes, the places all begin to merge in my mind days or weeks later. If I take photos of signs as I enter or leave a place, I will know where my photos are from. They call a 2,000 square foot ice lounge in Las Vegas an incredible "Arctic" experience, "one that takes guests into an icy wonderland of intricately hand-crafted ice sculptures..."
For me, it was more like an "Antarctic" experience. 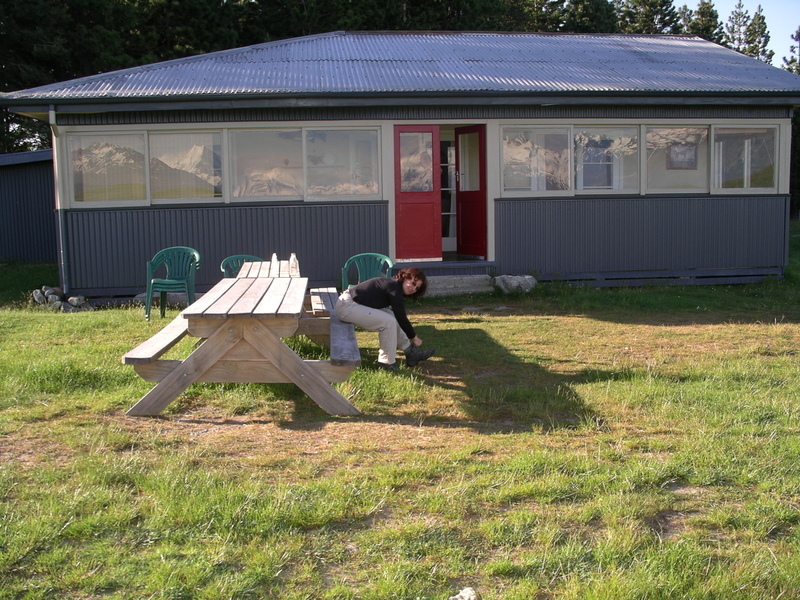 You see, I went to the Minus 5 in Queenstown, New Zealand, much closer to the South Pole than the North. It was one of those times I was really glad I had joined a group, in this case a multi-sport trip Down Under. I was glad for many reasons. I loved this group of people and we had a blast throughout our trip, biking, hiking, kayaking, admiring all the sheep, then eating lamb for dinner. But also, the ice bar is not the type of thing I would have gone into on my own. You have to get suited up in parkas, boots and gloves they lend you. Too much hassle for someone on her own just looking to poke her head in to see what's going on. But with a gang egging each other on, off we went. We paid something like $15 to get in. That included a fruity vodka drink in a glass made of ice. (No cubes needed!) We admired the ice walls. And the ice seats. And the ice counters. And the ice sculptures. We giggled and oohed and aahed and took pictures of one another. Then we got booted. There's a time limit. The people behind you need your parka and your space in the freezer...um...bar. We moved on to the warmer lounge next door and continued to pay exorbitantly for more drinks. We were able to look through a porthole into the icy lounge next door and see how others were enjoying their time. The dollar surges again, finally, against other countries' currencies. Now, the question is, do you still have a job and some travel money to burn? A lot of people are hunkering down but here's the good news, according to Arthur Frommer: In some cases, the dollar has risen up to 50 percent against other currencies, including the Australian dollar. In New Zealand it's gone up 70 percent. This time last year, I was assigned a story on how people are going to Europe despite the bite that spending was taking. And boy, did it hurt. Now the situation's flip-flopped for Americans and you can live like a king or queen. Or maybe just like a jack (or is it a maid-in-waiting?) depending on your budget and your situation. In any case, keep your eye on the dollar and see what's possible over the next few months or year. People the world over have much in common. I was reminded of this after watching a video called Where the Hell is Matt? and thinking about the time I played peek-a-boo with a young Thai child. I was hiking in the hill tribe area. Foreigners are still a novelty there and people came out of their huts to gawk at us shyly. One little boy, wearing a hoodie and nothing else was looking at me, so I started covering and uncovering my eyes and saying "boo." He started laughing with a really infectious giggle. His mother turned to see what was going on and then she started giggling when she saw us playing. I was delighted to see that peek-a-boo has the same effect on kids in Thailand as it does in the U.S.
Today, I watched the Where the Hell is Matt video. My office has an interior window that people walk by. I think people looked in at me wondering why I had a big smile on my face while sitting alone at work. Watch the video and you'll understand why. Matt travels all over, doing a goofy dance. Alone. And with others. People everywhere, young and old, respond with joy to the antics. And the joy is totally contagious. You'll wish you were in any of those places on the video, dancing with Matt. Matt! You're awesome, dude! That's what many viewers have said. How does this apply to solo travel? "The Girlo Travel Survival Kit" is a 255-page volume of encouragement and advice for teens and young women with wanderlust. I didn't know anything about the "girlosophy" books until I was sent a free copy of the latest one. I have to admit, I found the look of the book odd. It's written in a typeface straight out of manual typewriter days. Maybe that blunt style pleases young women. It took me a little getting used to. 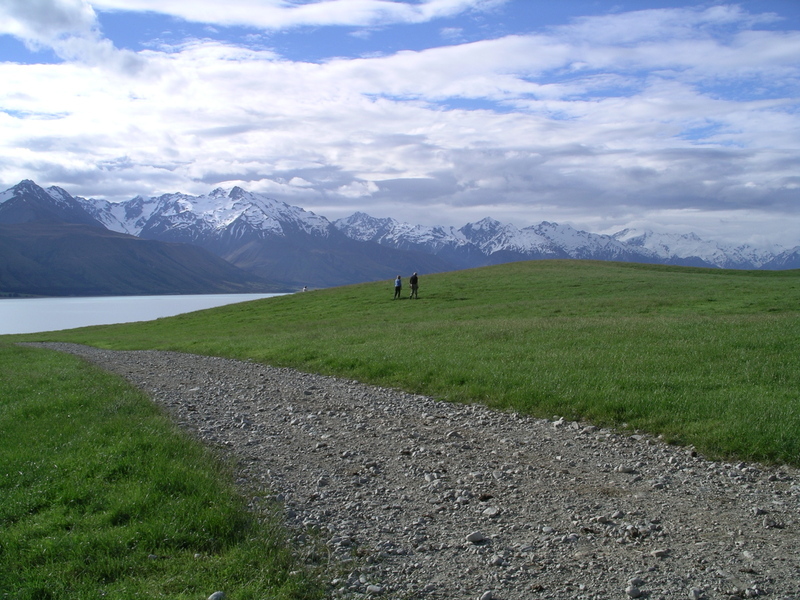 On the movie inspiration thing, think of all the people who visited New Zealand once they found out that the Lord of the Rings trilogy was filmed there. 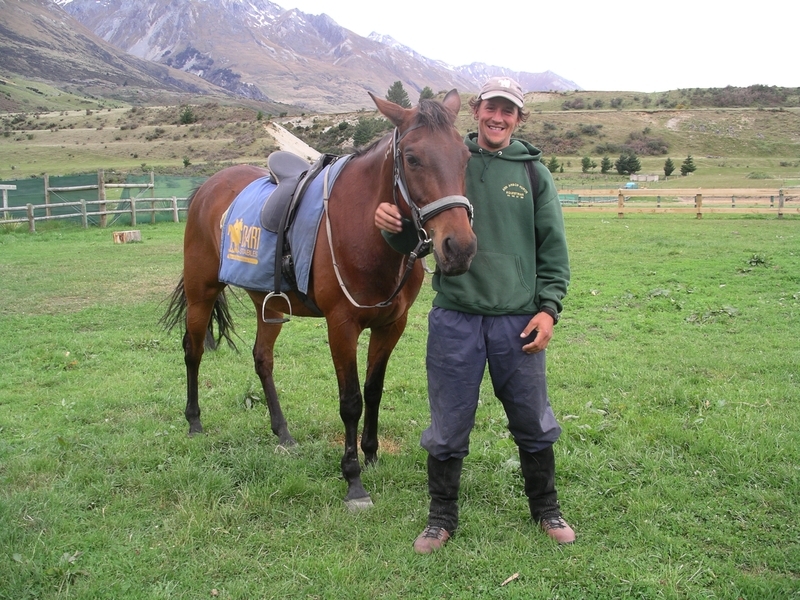 That's not why I went, but while on the South Island, in the "rings" region, I went horseback riding and learned lots of fun facts about how they "auditioned" the horses for the movie. They wanted to cast a chestnut horse for a starring role. The horse had to be able to run at the cameras and stop on a dime. And it couldn't startle easily at loud noises. At the time, another film company was scouting the area for a movie on Hercules. 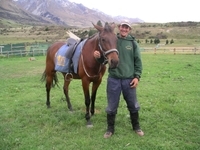 That film also needed horses, our trail guide explained. Cool. 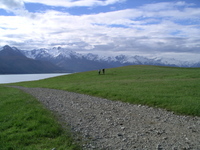 New Zealand saw a tourism boom after the LOTR movies were filmed there, and people saw the beautiful country on screen. Maybe some also expected to see Frodo and the gang once they got there. Who knows? I used to think that package tours were for retired people, the elderly and the infirm. That buses took them right up to, say, the rim of the Grand Canyon. Then they could peer out the window and ooh and aah without ever having to leave their seats. Then I discovered active tours. The biking, hiking, kayaking and other trips I've been writing about here. Clearly, there are tours beyond bus tours. What I've also learned is that these tours, planned by experts, often can give you a leg up over independent travelers. Tour operators extensively research the places they're taking people. They'd better if they want to stay in business. They have experience with the roads, the restaurants and the hotels. And they often get special privileges that "regular" people do not. That might be admission to sites closed to others. 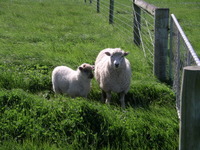 Or private tours separate from the madding crowd. Or, tour operators may have a relationship with vineyard owners or park rangers or whomever, that garners benefits for their guests. You can't fathom setting off on vacation without a friend or a significant other? How about pushing yourself, with the idea that that friend or significant other will be waiting for you when you get there? Let me explain. Melinda and I have known each other for about four years. Though she's from the West Coast (of the U.S.) and I'm from the East, we've never broken bread together in the Northern Hemisphere. 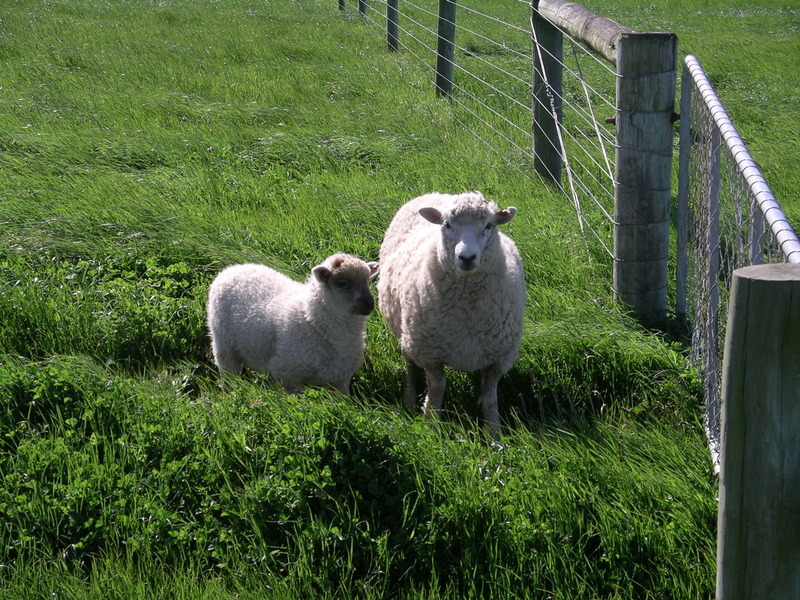 We met on a New Zealand trip. We both arrived solo. That bonding thing began to happen among the group of 15 people, both couples and singles. Melinda and I ended up in a two-person kayak in the tiny village of Okarito, paddling badly, getting soaked. 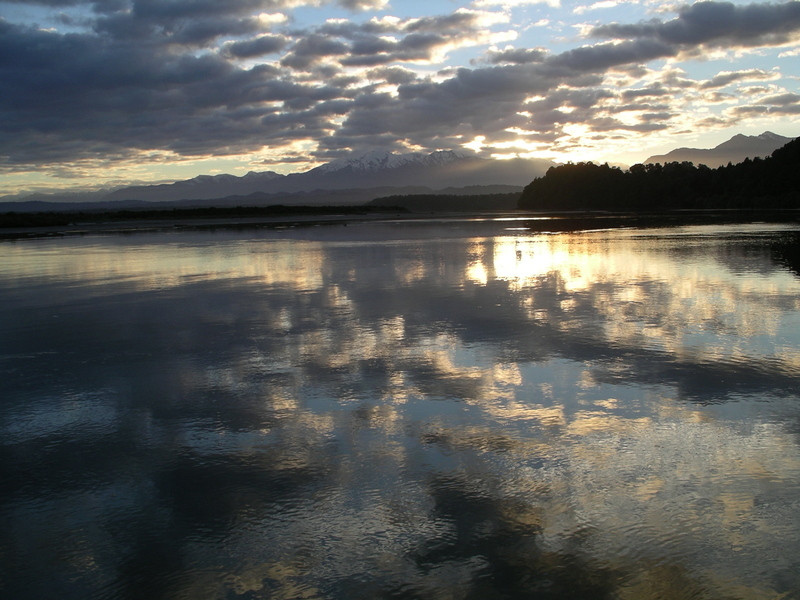 We spilled about the men in our lives, and our parents and families, and the conversation continued in the van that was taking us around the South Island. She and I and the others biked and hiked and oohed and aahed our way through amazing scenery, sharing wine, our political views and our astonishment about just how many sheep can fit on one small island. 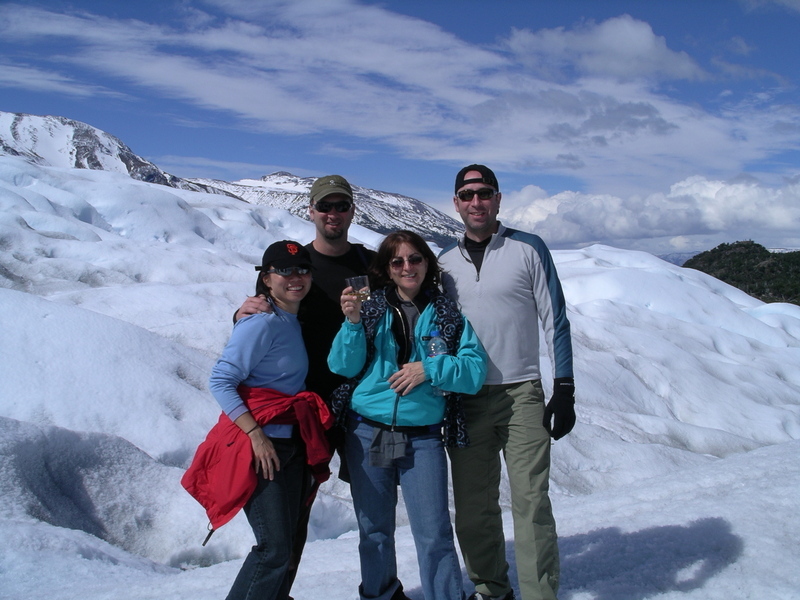 Three years later, I was going to South America for a conference and emailed Melinda to see if she wanted to meet up with me and travel around Chile. She preferred to visit Argentina. It's a deal! I hadn't been to either country and was just as happy to go to Buenos Aires and elsewhere around Argentina. At the B.A. airport, I recognized Melinda, but it felt strange. Yet, within hours, we were back to the camaraderie we'd established several years earlier. Traveling together can do that for people. The same way summer camp can. By the end of a week or two you can feel like fast friends with someone, and when you part, you want to stay in touch. Sometimes it works. Sometimes it doesn't. When it does, you've gained a friend who you know likes to travel the way you do. And you've opened the door for more excellent adventures. 1. 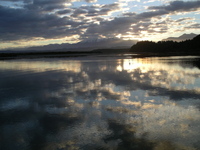 Okarito, NZ, sunrise. Photo: Ellen Perlman. 2. Perito Moreno Glacier, Argentina. 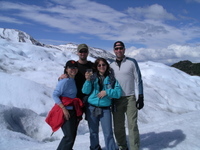 Melinda, Ellen and two friends from our day long tour hiking on the glacier. Photo by a nice stranger.